Girne American University added one more to its international campuses in 3 continents and commenced admissions at the new Hong Kong campus. continuing to grow globally. GAU CEO and Vice-Chancellor of Board of Administrators – Assist. Prof. Dr. Asım Vehbi has stated that the Senate decided to establish another new campus in the Asian continent – Hong Kong – and that the service will soon be commenced in GAU Hong Kong Campus. Vehbi underlined that all the necessary structures, classrooms and offices are ready to commence education and that the initial aim is to undertake several non-possible issues in Singapore which will be possible in Hong Kong and even more significantly that the Chinese market is vast. Vehbi further stated that China is a vast global market and that it is a country which transfers significant numbers of students to global universities. Vehbi also emphasized that Hong Kong Campus will enable students to “study abroad” for 1 or 2 semesters in total or study there during the summer school. Vehbi underlined that GAU Hong Kong Campus will be much richer as a program and that the intimacy to the island of Macau, Beijing and China will enable 3-leg education. The aim is to enable Turkish citizens to travel with ease with no visa problems and develop themselves more in a country like China which is a significant market in the world. 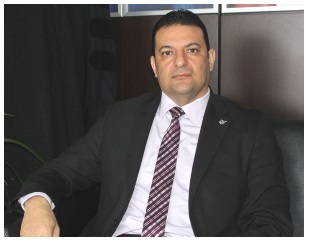 Vehbi further stated that this Campus is significant with regard to helping the promotion of the TRNC and economical beneficiaries. Thus many students from China and surrounding areas will come to the Island to study and will return home as cultural envoys. Vehbi also emphasized that Hong Kong Campus will enable students to “study abroad” but new foreign students will be referred to the Hong Kong campus.